Don’t be fooled by the short distance from La Mure to Corps. It was a proper full day of cycling for the three of us 😉 with some 600 meters uphill, some on a very steep hill from under La Mure. It was however much easier than yesterday. 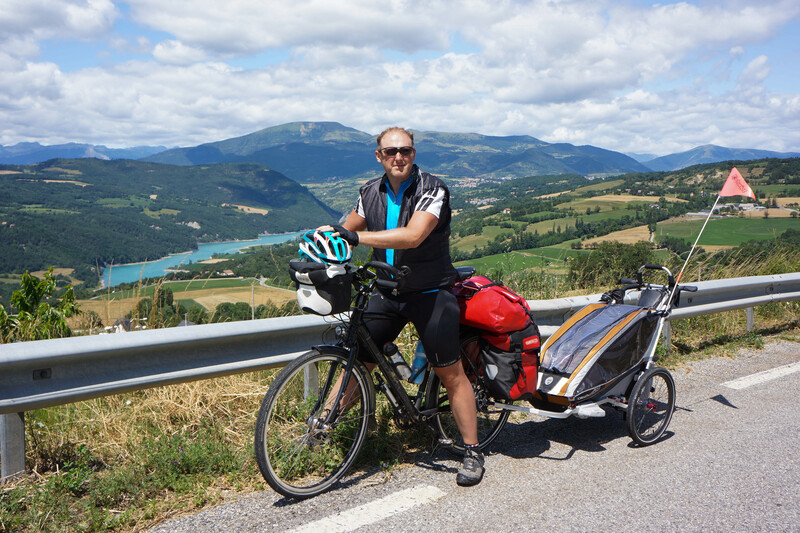 Today we rode on the N85, Route Napoleon, a busy national road from Grenoble to the coast. There are not a lot of options to follow through the Alpes and we will have to cycle on this road for a part of our route. 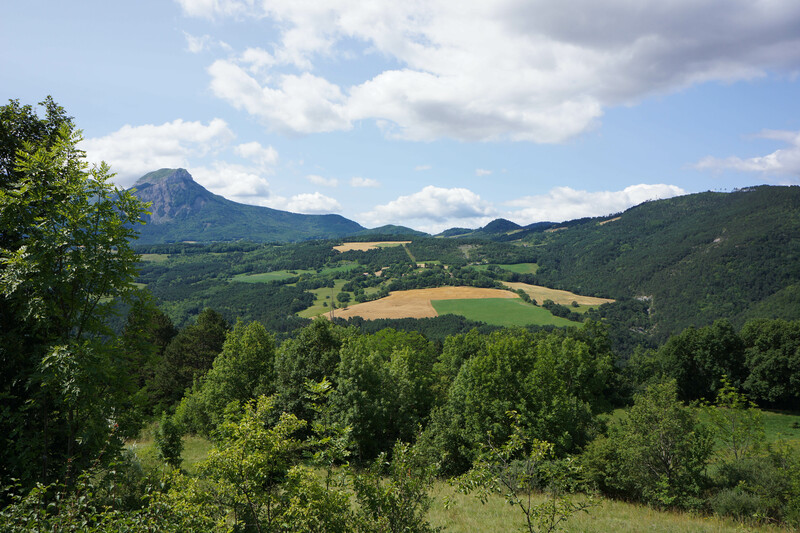 It started out as a descent from La Mure where we lost 200 meters in the space of 4 kilometers. The road from La Mure is in a bad condition so the descent was not very fast (rather bumpy, Laos-style descent). The road than went on to climb out back from the river valley, twisting and turning at grades in excess of 10% for another 4 km. Almost at the top of the climb we turned right onto D212, a side road that ran around the hills almost parallel to N85. It turned out to be a much nicer road with no traffic and gentle gradient. It passed through a beautiful village of St. Pierre (many villages named St. Pierre in France) and continued to rejoin the N85. The rest of the route was undulating with a short climb to Corps in the end. Tomorrow we are heading for Col Bayard and Gap. Crossing this part of the alpes is an adventure of it’s own and can’t be compared to the other rides that we were doing, both effort-wise and scenery-wise.